Sciatica Got You Down This Season? I’m sure if you open your calendar or planner, December is booked solid. Trying to jam-pack every moment with “so much fun” can leave little time for the necessities. During the season where thinking of our fellow man and showing appreciation for others is paramount, our own sanity is sacrificial. As a working mother of 3, with a full-time job, part-time job, volunteer duties, and caregiver to extended family – I’m spread thin. Logically I know I can’t add hours to the day, nor do I want to; but physically I’m suffering. When there’s no time for exercise, I don’t sleep well. When I don’t get quality sleep, my body aches. And when my body aches, my sciatica starts acting up. The Mayo Clinic defines sciatica as pain that radiates along the path of the sciatic nerve, which branches from your lower back through your hips and buttocks and down each leg. The sharp pain is so strong, it can make it hard to walk, or even rest comfortably. Most doctors remind you that sciatic typically, affects only one side of your body – but they don’t mention how it branches out into all areas of your life. Surgery is not an option. Exercise is effective, but not when you can barely walk. 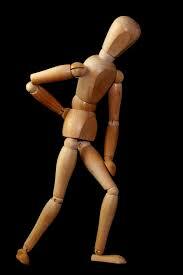 So in order to stave off any signs of back pain before I’m down for the count, I seek chiropractic care. Dr. Fast has taught to be more aware of my triggers and ways to function pain free. One way is scheduling regular visits to the Back Pain Clinic Belleville for diagnostics and spinal manipulation. I count on the friendly staff being prepared to handle my needs for the most effective treatment. And they are always available to accommodate the busy schedules of any family and friends we refer. It’s the best gift I can give to them over the holidays!